The idea for this embroidery came from window shopping. 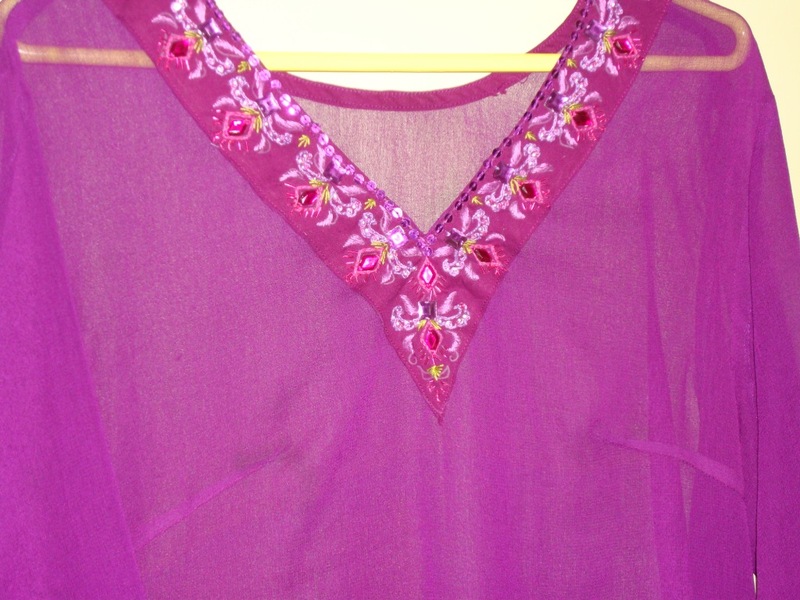 Very delicate chiffon tunics were embellished richly with stones and embroidery. The work was done directly on the fabric. 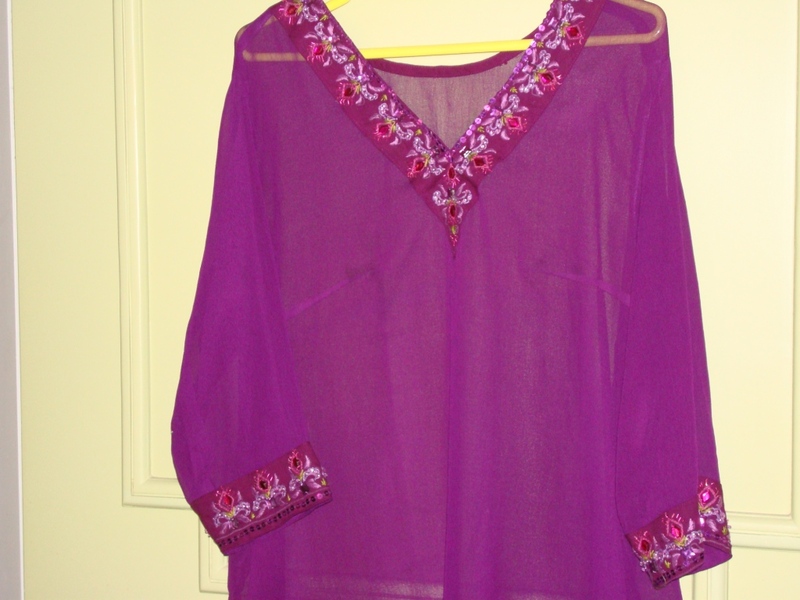 I was very cautious, though I adopted the idea, I did the embroidery on similar colour silk/cotton fabric. I had a spare duppatta[long scarf] with me in dark violet. The pattern- In this I did not borrow anything, It was my own pattern- A small motif pattern [ where I could incorporate the stones] was repeated throughout the neck and sleeve lines. 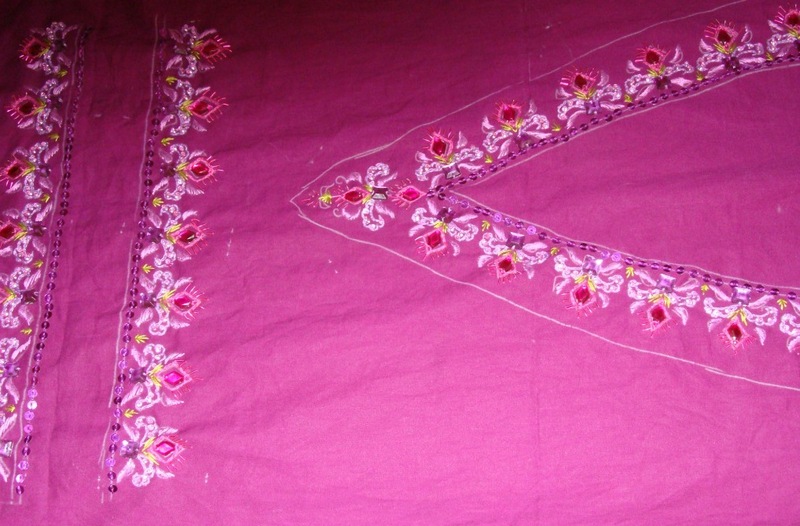 The embroidery-colours used were, light violet and medium majenta. Diamond shaped deep pink stones, small light violet stones, pink zardosi beads, and violet sequins were used for embellishment. 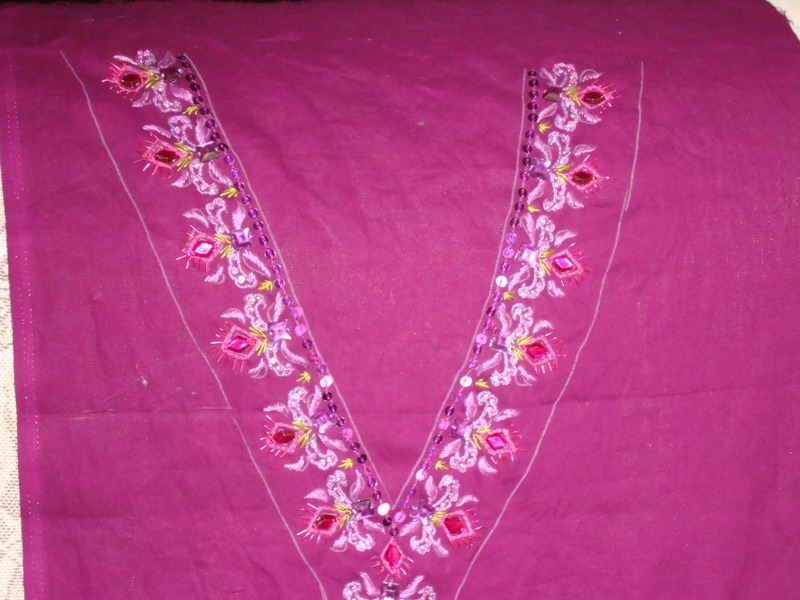 After completing the embroidery, I gave these pieces to the tailor, to be sewn on the tunic. Which He did perfectly well. One advantage of wearing a synthetic chiffon, I do not have to dry clean it! A hand wash with shampoo keeps it new always.I wear this over a short sleeved antique violet coloured t-shirt.